Deborah Ross is Strengthening Families, Encouraging Faith and Sharing the Gospel of Jesus Christ! 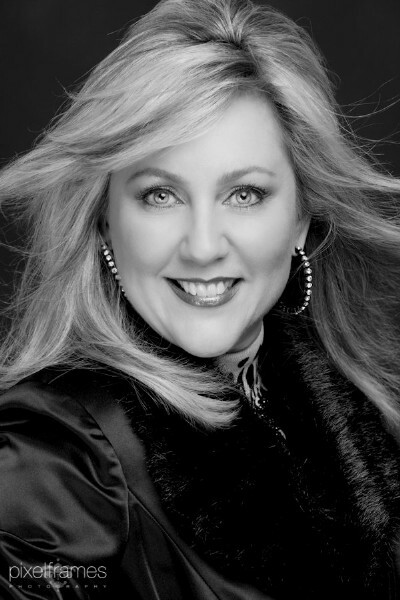 Before founding Deborah Ross Ministries in 2007, Deborah enjoyed twenty years of business ownership as the artistic director of three simultaneous dance and modeling studios. She has cultivated numerous protégée's who now work professionally all over the world as dancers, singers, choreographers, models, directors, actors and even ministers of the gospel. Today, this multi-talented wife and mom serve's in full time ministry as a Christian speaker, author, bible teacher, columnist, worship singer, radio/television host and choreographer. Uniquely able to connect with all ages while crossing denominational and ethnic borders, you'll find Deborah Ross among Christian authors who share the gospel in prisons, in churches, leading bible study groups, on foreign missions, on television, by radio, at conferences and retreats, via the internet, in magazines and most any other platform that is made available to her for the cause of Christ. Deborah has authored several books including, Healing a Broken Marriage which is a powerful teaching testimonial of her personal marriage journey that was upside down for 18 years. Having overcome marital adversity that seemed insurmountable, Christian speaker and author, Deborah Ross, is compelled to share her story so that others are encouraged and empowered to believe God for their own marriage miracle. In 2012, The CBN 700 Club featured the story of Jay and Deborah Ross on their show. Deborah's newest book is called, Woman2Woman: The Naomi & Ruth Experience. This one-to-one bible study is aimed at transforming the hearts and lives of women who are new to the faith by providing short lessons that can be shared through a mentoring relationship with a more mature Christian woman. In addition, this in-depth study guide serves as a tool to minister to all of those who are seeking help and healing from: a broken heart; shattered relationships; addictions; prison/jail time; a life of dysfunction; abandonment; mental, physical or sexual abuse; and beyond. Deborah has two syndicated radio shows and one television show each named Choose Life, Choose Life Today and Choose Life & Live. Choose Life Programming is a listener supported outreach of her non-profit ministry. Millions of listeners tune in each week for anointed teaching, testimony, music and more as Deborah Ross empowers them to "live in the blessing." Christian Speaker, Bible Teacher and Author, Deborah Ross, is effective, purposeful, compelling, sincere, relevant... and CONTAGIOUS! Healing a Broken Marriage is a book among Christian Authors who share real and raw testimony of how God worked a miracle in their life. Jay and Deborah Ross have been married since 1984 and have two young adult sons. The testimony of Jay and Deborah Ross was featured on The CBN 700 Club in an interview segment called, "Can Infidelity be Forgiven?"